jobs (at) fremontabbey.org no spaces with “ABBEYJOB” in the subject line, all one word. 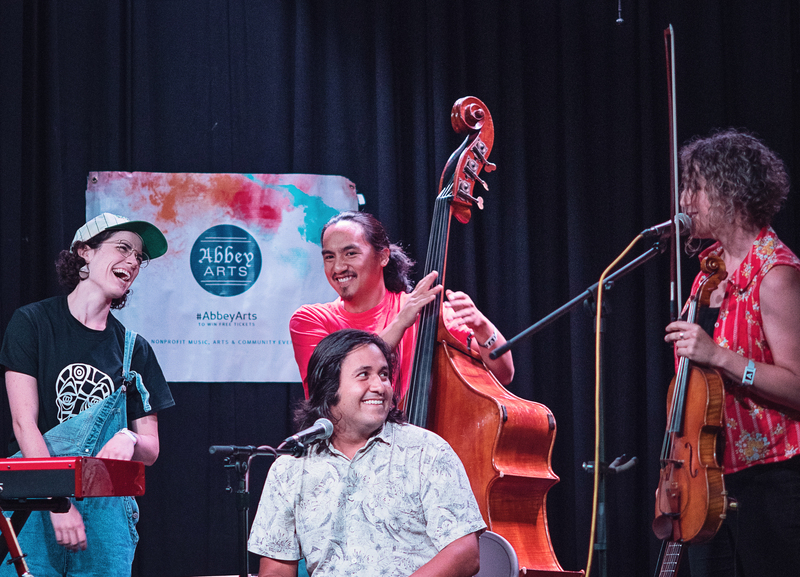 Abbey Arts is a growing nonprofit based in Seattle, WA. Our home venue is Fremont Abbey Arts Center. Before applying we recommend you read about us online and if possible stop by the Abbey to experience a concert or event in real life. This may help you better understand the organizational style and what we are about. We are not your typical arts nonprofit. 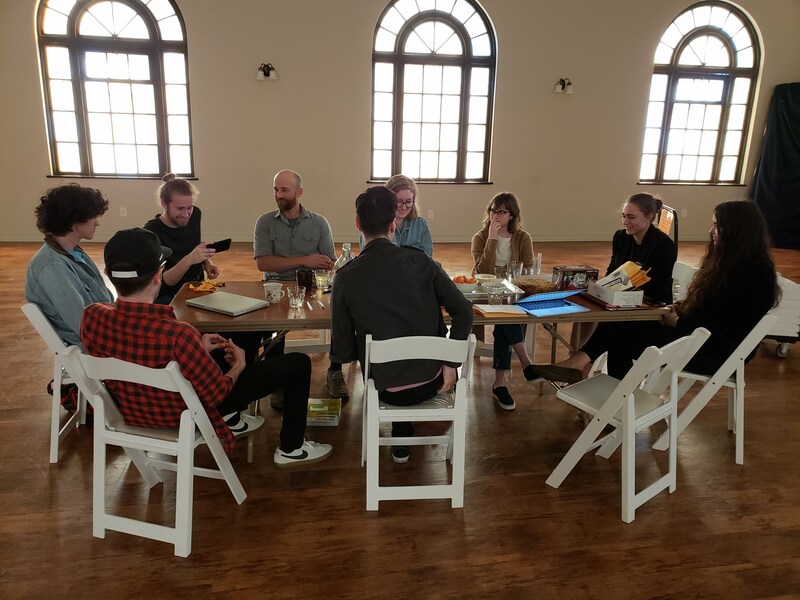 We’re a “lean & limber” music & arts venue operating in more of a small business style so working here will not likely be equivalent to larger nonprofits or corporations. Abbey Arts is looking for people with positive energy and a strong worth ethic to help make the world a more creative & connected place. All Abbey Staff have the opportunity to contribute to and/or lead select creative projects such as curating a show, helping design a poster or ad, contributing to program development, managing arts & music events, etc. Most positions here require typing speeds of at least 55wpm, familiarity with Google docs, ability to lift objects such as chairs/tables, setup event spaces, help with building reset, etc. Read our Respect Policy. Abbey Arts is an equal opportunity employer. Due to the volume of inquiries we cannot reply to everyone but we do sincerely appreciate you taking the time to apply. Please do not call or stop by the building for hiring related matters. If you are unsure if your resume got through via email please feel free to resend and maybe try changing the subject line a bit. We also have many volunteer opportunities which is a great way to meet staff & volunteers and get some training on how to produce events and concerts. We welcome anyone to come by for a show, volunteer, or otherwise get to know the Abbey experience and staff in real life. The Abbey Arts Office Assistant is responsible for creating and maintaining vibrant and organized spaces at our home venue, Fremont Abbey. 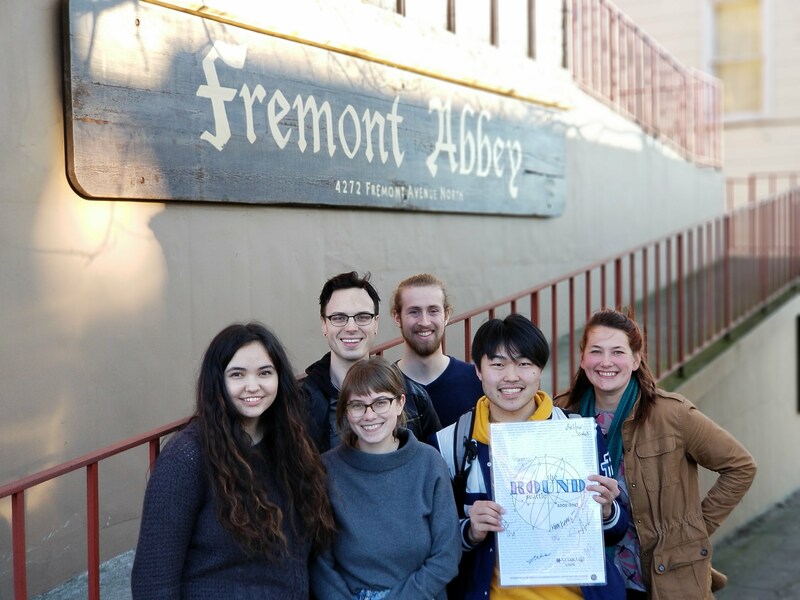 Office Assistant responsibilities include managing & implementing the reset and professional appearance of Fremont Abbey, contracting rentals, managing weekly renters, answering phones, and providing general administrative support to Abbey Arts Staff. Office Assistant may also give public tours on occasion. Ultimately, the Office Assistant should be able to ensure the smooth running of the office and help to improve company procedures and day-to-day operations within their roles. This position will include basic payroll and bookkeeping responsibilities (training provided). This position is 24-32 hrs/week and starts at $15/hr during training with potential to increase to $16-17/hr. Events are typically on Friday or Saturday nights, sometimes til 1am or 2am. Work includes light security duties, managing crowds, cleaning, bussing, reset, moving tables, sweep/mop, etc. Must be good with people and friendly but assertive and able to keep people inside, following appropriate rules, etc. Tech experience helpful (sound/video). Must know how to work hard, move quickly, clean well, and lift heavy objects like old 8′ metal tables at least 50 pounds. Part time for select events including weekends, $15/hr to start, $16/hr after 5 successful events, plus tips share at select events when a bar is operating. Opportunity to move up to $17-20/hr (+ tips share) after full training & successful events. Minimum commitment is 6 months due to training time. Many of our house managers work 2-8 events per month depending on the season. Other Abbey perks may apply. Great opportunity to grow into more advanced position. 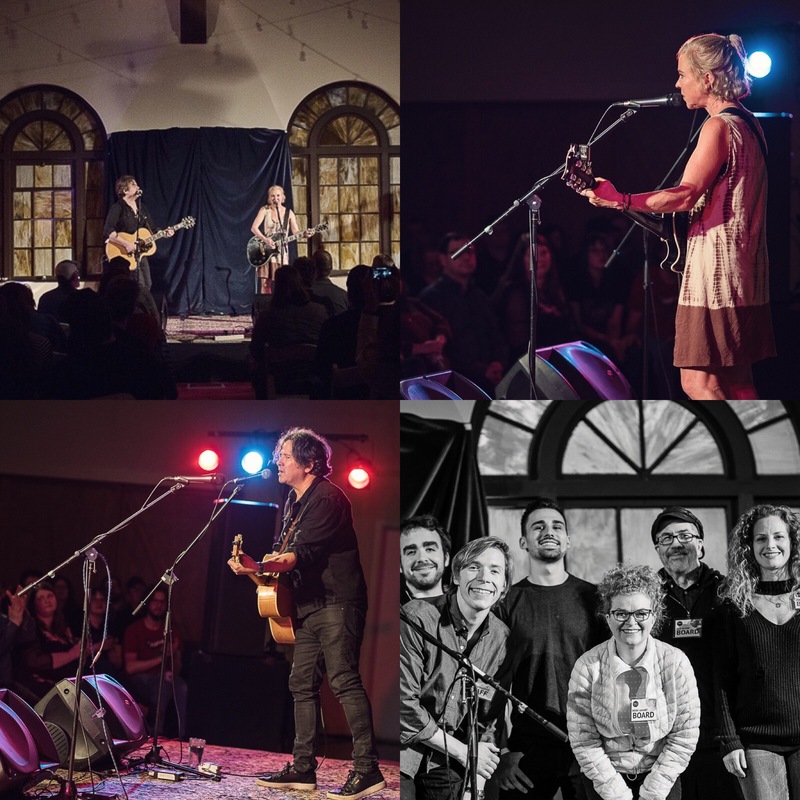 Managing events: weddings, nonprofit benefit events, concerts, parties and others both at Fremont Abbey and our partner venues in NW Ballard, U-District and N Capitol Hill. Further Details: House Managers at Abbey Arts typically have to do lots of hands on work with setup (such as tables & chairs), not just coordinating volunteers/caterers/clients. Experience managing volunteers and other assistants is key to be able to delegate in a efficient manner and keep the event moving along in a timely manner. Must have experience managing events, working with people in a complex fast paced and sometimes stressful environment. Must be assertive, outgoing, kind, polite and welcoming usually all at the same time. Must be able to take constructive feedback while on the job and improve systems and setup on the fly. Often the job becomes a mix of managing artists/clients, attendees, and equipment in a specific but often changing timeline. Some events will have “down time” in which House Managers will do other projects around the building while checking in on the event occasionally. Taking the opportunity to relax and enjoy the music/art for a bit is always encouraged during house manager shifts. Attention to detail; professional, friendly & assertive communication style; quick on your feet; good visual memory; reliable; able to multi-task efficiently; heavy lifting typically required (tables, chairs, equipment) up to 50 pounds. Good at on the spot problem solving with a limited budget. Must know what “clean” means. This job does involve some cleanup up after events, sometimes with assistance and sometimes without. It isn’t an ‘easy’ job, but it is a fantastic one! For sustainability and employee health, we do not typically allow staff to work another morning job and then work at the Abbey for a late shift. Technical knowledge very helpful — simple sound, projector, lights, computer skills, etc. PT position, no benefits. Position does include Abbey Perks. Abbey Perks include health & wellness stipends for massage/etc. (credits build depending on how many hours worked), organic local veggies, healthy lunches & snacks, unlimited Vitamin D/C/B, good tea & coffee, fantastic catering & leftovers, use of the Abbey & Homestead for personal events or rehearsals, free entry into most classes & workshops, free tickets to select events including Paramount Theatre, Triple Door, Tractor, Crocodile, Showbox, Neptune and more music venues. Facility projects, improvements, small maintenance, hiring & supervising contractors for big maintenance, Greening the Abbey projects, and more. Potential to manage volunteer teams. PT contract position to be the Venue Manager for Fremont Abbey. Includes Greening the Abbey projects, light maintenance, coordinating contractors & volunteer teams, organizing storage, etc. Reports to Abbey Arts Director of Operations & Production Managers, may supervise volunteer teams, janitorial company, and the occasional intern. MUST have experience with repairs, creative problem solving and fixing things with a limited budget. Projects will generally be on a contracted basis with a not to exceed fee rather than hourly. Talent buyer / booking agent position now open. Compensation is dependent on experience. Possible to start in Booking Assistant role. This is an ideal position for someone interested in supporting local bands and helping new voices reach the stage. Good fit for someone also interested in working select events/concerts as a House Manager (See above). See our Booking Page for more info and our Events Listing for more about our event styles and venues. Good with people, friendly, etc. as per normal bartender roles. Typically just serving beer/wine, one or two mixed drinks and various non-alcoholic options at our events so no fancy mixologist stuff needed. Must be able to handle fast paced environment as most events have intermission with a rush of people all at once. Tips share partial with House Manager and assistant when applicable. Setup & cleanup also involved in this job. Heavy lifting required, at least 50 pounds. Efficient and fast operation, ability to work on your own as needed. MAST Permit required. Most bartender shifts are approx 5 or 6p start to around midnight. Some offsite events require a vehicle. Independent Live sound audio engineer for on-call contract gigs when primary Abbey sound techs are not available. Must be of sufficient experience level to mix live for a band or acoustic group, usually with opening acts and fast 5-10 min changeovers. 16-24 channels typically on Midas M32 digital w ipad (large shows), or Allen & Heath 16ch analog (small shows). Includes setup & testing of PA in most of our locations. The positions below are for State Work Study funded students. *Students must qualify for WA State Work Study or be interested in an unpaid internship with supervision for credit. 10 hours per week minimum, typically 12-19 hours per week during the school year and up to 35 hours per week in summer. Some prior work experience required. Generally suitable for Sophomore-Senior level students or grad students, some exceptions may apply for exceptional applicants. Unpaid Internships – On some occasions with exceptional applicants we can offer non-work study unpaid internships (typically for school credit). (Now Hiring) – Film & edit live shows, develop promo videos, shoot takeaway shows, etc. Edit audio from live performances such as The Round, iTunes podcast editing & publishing, bandcamp audio, etc. Publish & promote media and videos to promote the arts & community events. (Now Hiring) – Create posters, flyers, and other designs for concerts and events to be used in print & web. Experience with Adobe InDesign, Photoshop, Illustrator, etc. preferred (at least proficient in one). Understanding of marketing and design concepts helpful. Attention to detail, proof read, etc. very important. (Now Hiring) – Sound tech setup & operation for concerts and events. Assist sound & lighting techs with live events. Learn from professional technicians. Intern also may work on creating and promoting video and audio media while helping to grow the reputation of quality eye opening arts experiences for all ages & incomes in King County. May include podcast, live concert video shooting & editing, promotional videos, and more. working with event staff and volunteers to ensure a welcoming and successful experience for all attendees. Includes setup, volunteer management, box office, artist hospitality, some tech, lighting, cleaning, reset, moving tables, etc. May also include video/camera work depending on experience. – Organize and improve event processes, setup etc. Work with Production Manager to support projects, work with Abbey Director or Lead Sound Techs on specific projects or events, managed by Operations Manager. WA State Work Study only please. Unpaid internships may exist as well if you don’t qualify for Work Study. The Abbey is an equal opportunity employer and we ask that you read our About page including the respect policy. Some jobs do involve heavy lifting and other physical requirements. Fremont Abbey is ADA on both levels but does not have automatic doors. Abbey Arts follows all WA state employment law practices and rates posted on this website may not reflect current pay rates which adjust year to year depending on current minimum wage and policies. (Contract) Want to create & promote a new class at the Abbey? All it usually takes is 4-6 paid students to activate your class. Teachers are paid $30-60/hr depending on experience and class enrollment. Note that you’ll be primarily responsible for creating, promoting and filling the class to minimum enrollment levels though we certainly do our best to help out as well. Best fit for dance, visual arts, literary, culinary, and some music, film, theatre, etc. Daytime hours are usually mostly available M-F and Saturday mornings at the Abbey or Homestead. Homestead has more weekday evenings available. Email us your class proposal and feel free to followup in a week or two.